This Mr. Baseball is another set that came as a suggest/commission from the very same friend of the site that recommended the Sidd Finch card. These cards are done in the style of a Japanese Calbee brand baseball card set. Apropos choice for a movie about an American ball player that went overseas to Japan to play ball, right? Calbees are the most collected Japanese baseball cards. 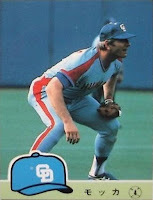 Unlike Topps, Donruss, or any other major American cards that are distributed in packs, starting in 1973 the Calbee cards came as a premium in Calbee brand snack foods, which makes putting together a complete set quite an undertaking. These, as requested, were done in in the style of the 1984 Calbee set. Despite Mr. Baseball having been released in 1992 I chose to keep this design as the PCb Mr. Baseball set going forward. For one, the 1984 set, design wise, has a bit more going on. In a way they resemble the 1981 Topps baseball set. For two, I thought the size was unique, measuring 2" x 2 5/8" as compared to the normal 2.5" x 3.5" of the standard size American sports card. 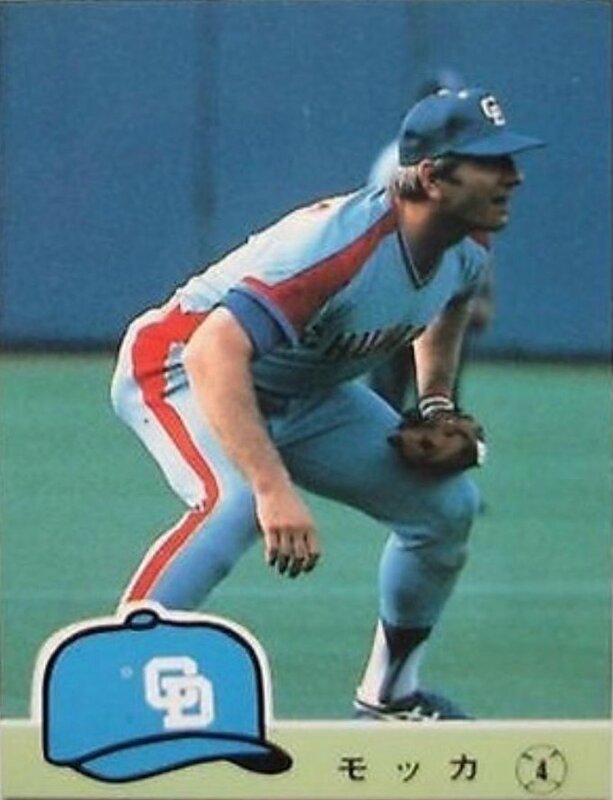 For the 1992 set the Calbee cards were the same size as phone cards complete with rounded corners, which I know would have given me fits as I strived for authenticity. 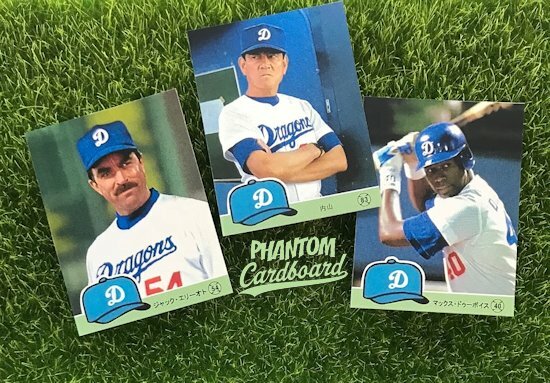 I matched the "D" on the card to match the "D" on the Chunichi Dragons cap as seen in the movie and the set's requester helped me wit the Japanese characters for the player names.